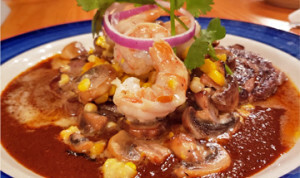 "I'm from Flagstaff, so my secret place is Criollo Latin Kitchen in downtown Flagstaff. 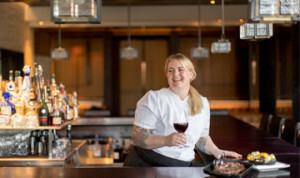 It has great food, and the chef has a passion for what he does." Sustainable. Local. Organic. Those are the tenets that have driven husband-and-wife team Paul and Laura Moir's restaurant concepts, from Brix Restaurant and Wine Bar to Proper Meats + Provisions and Grand Canyon Café. Criollo Latin Kitchen is no exception. All the ingredients are sourced from local and regional farmers and ranchers for dishes like bison meatloaf, beer-battered catfish tacos and seared-salmon tostada. You can taste the difference. 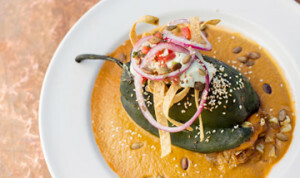 Criollo Latin Kitchen was named one of Arizona Highways' "25 Favorite Places to Eat." 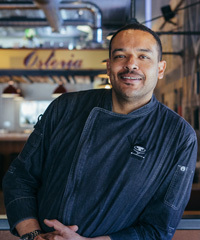 Arizona native Christopher Smith served as executive chef at Robert's Creekside, Los Abrigados Resort & Spa and The Asylum Restaurant before rock star and winemaker Maynard James Keenan picked him to helm Merkin Vineyards Tasting Room and its restaurant, Osteria, in Cottonwood. Smith believes in keeping his menu as local as possible. He makes his own bread and pasta using Arizona flour and sources much of the produce from Merkin's own orchard, gardens and greenhouse.